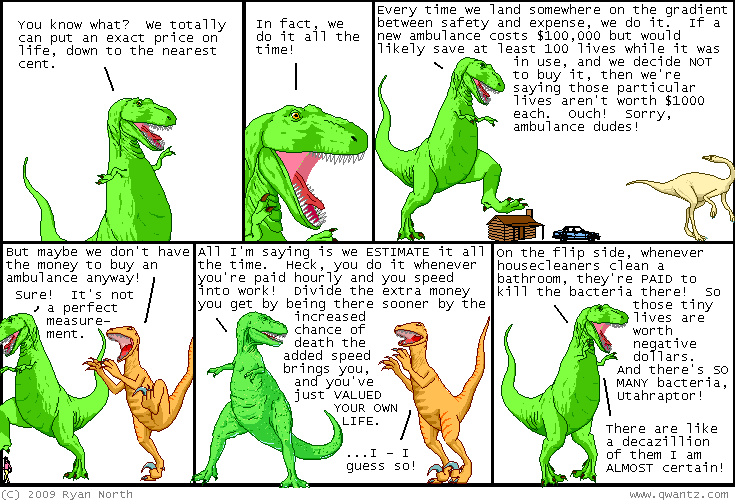 Dinosaur Comics - December 4th, 2009 - awesome fun times! –It goes up for a really long way after that!! December 4th, 2009: You guys, there's something awesome that is finally available for sale, just in time for Christmas!! The deadline for international orders on all Dinosaur Comics stuff is December 8th (and that's with USPS INTERNATIONAL PRIORITY shipping!) so you should order by next Tuesday if you're not sending to the US!